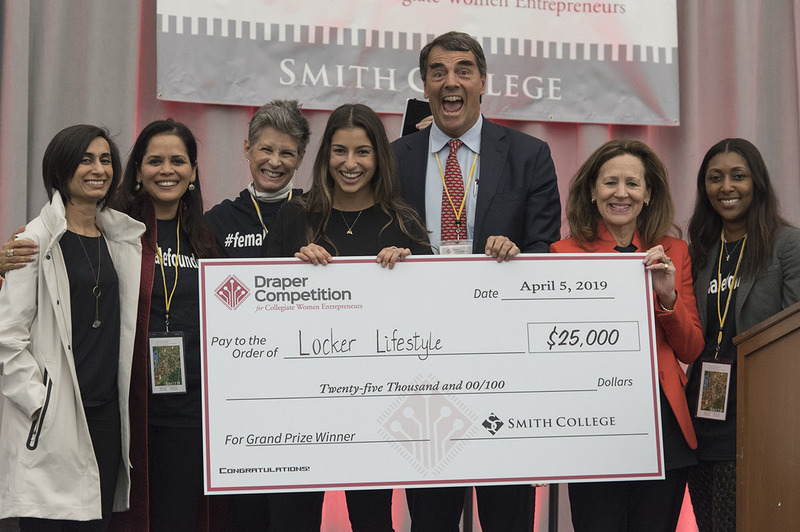 Grand Valley State University’s own Katarina Samardzija recently took home the grand prize award of $25,000 at the Draper Competition for Collegiate Women Entrepreneurs. The competition was held at Smith College in Northampton, Massachusetts on April 5. Samardzija started her business, Locker Lifestyle®, in 2016 and has worked the business up to be her one, full-time, sustainable source of income. Samardzija, who graduates from GVSU this month with a double major in Entrepreneurship and Marketing, sat down with CEI’s Kayla Sosa to talk about her recent win. CEI: How did you hear about the Draper Competition? Katarina Samardzija: I found the Draper competition by searching Google for women in business events/competitions. They are one of the only female founder events for college students. CEI: How did the process go? What were you thinking going into the competition? Samardzija: I didn’t sleep through the night for over a week prior to the competition! I was so nervous and excited all at the same time. Hundreds of women applied so I was honored to be among the top 75. The actual pitch was the shortest I have ever had to present, which was three minutes. It takes a lot of practice finding ways to fit over two years of business into that short amount of time. Whenever I head to a competition I have the primary goal of networking with as many people as I possibly can. The connections can be more valuable than the prize money. 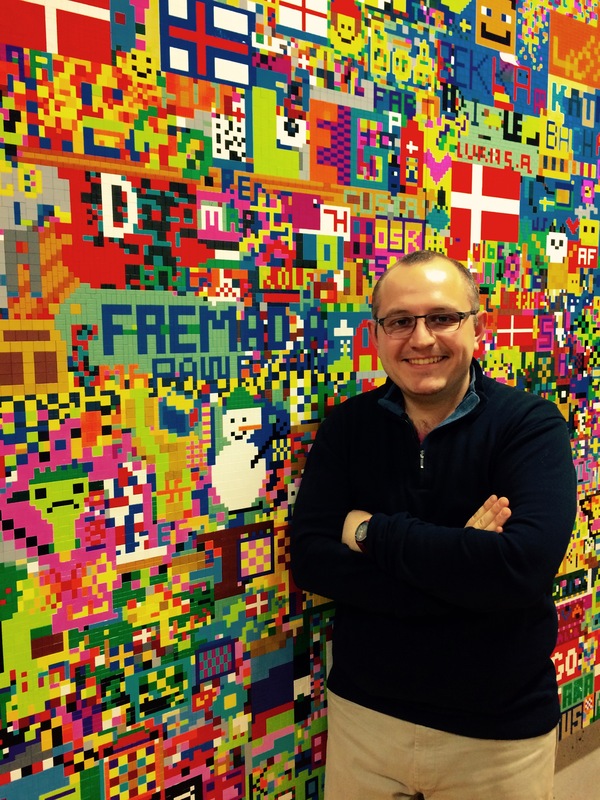 CEI: Being the grand prize winner – how does that feel? Samardzija: I am still in shock! I have worked so hard and to have this level of validation is overwhelming in the best way. The founder of the competition, Tim Draper, is worth $1 billion. He was so supportive and impressed. To have him hand me the check with such positive feedback was an honor. I replay the moment of them calling Locker Lifestyle® to the stage as a grand prize winner over and over in my head. It was one of my most proud moments since starting this company. CEI: Tell us about your business, Locker Lifestyle®. Samardzija: I started my company after having my valuables stolen out of my gym locker. Locker Lifestyle® provides wearable wrist wallets and pocketed headbands to stash cash, keys, an ID, phone & more. All products are machine washable and dry-wicking. I am on a mission to make sure you never worry about your essentials when on-the-go so you can adventure with confidence. CEI: How do you plan to use the $25,000? Samardzija: The money will do a lot for my business. I am currently in the process of updating my website and hiring three new team members. I plan to use $5,000 towards website development/SEO updates, $3,000 towards the launch of my products on Amazon, $10,000 for marketing on Facebook/Instagram/Google Ads, $2,000 will go towards my attendance to Draper University for their launch program – I received a $10,000 scholarship but the program costs $12,000 – and $5,000 will go towards legal services for the development of a new product I am working on. CEI: You graduate in just a couple weeks. What are your reflections over the past few years getting your degree, now that you’re at the finish line? Samardzija: I feel like I blinked and just like that I am done with college. The evolution of my degree is the funniest part; I thought I wanted to be in the medical field. I then started Locker Lifestyle® as a side hustle, so I added a business minor. After all the validation and organic sales since the inception of my business, I then switched to a double major in Entrepreneurship and Marketing. I am so fortunate for the guidance of my professors to stick with the major I am graduating with. I have been able to use my business as case studies in classes and use products I am actually developing for (class) projects. The transition of my majors is something I do not regret or would change because it has become the evolution of my story and process. CEI: What have you learned over the past four years at GV that helped you develop and continue to grow Locker Lifestyle®? Samardzija: I have learned the importance of leveraging connections, that I should never be afraid to ask for help, and how to work as a team. My professors have been able to mentor me in so many ways and connect me with competitions that have changed my business for the better. GVSU has many resources that not many students realize to take advantage of. I owe a lot to the Center for Entrepreneurship and Innovation for the support and funding so I was able to travel to all the competitions I have entered. Playing tennis for four years at GVSU has brought me close with a group of girls from very different backgrounds, but we all worked towards one goal. I strive to take what and how I have grown to learn with them into my business and future team as I build Locker Lifestyle®. CEI: Looking ahead – where do you see yourself and Locker Lifestyle®? Samardzija: I work every day and absolutely love what I do. It can be stressful, but my passion is not driven by money. I am on a mission so you never have to worry about your valuables when on-the-go. I have many new product ideas that I am excited to implement post-graduation. I will be exploring Tampa, Florida and Austin, Texas as possible places to run my business in the next few years!